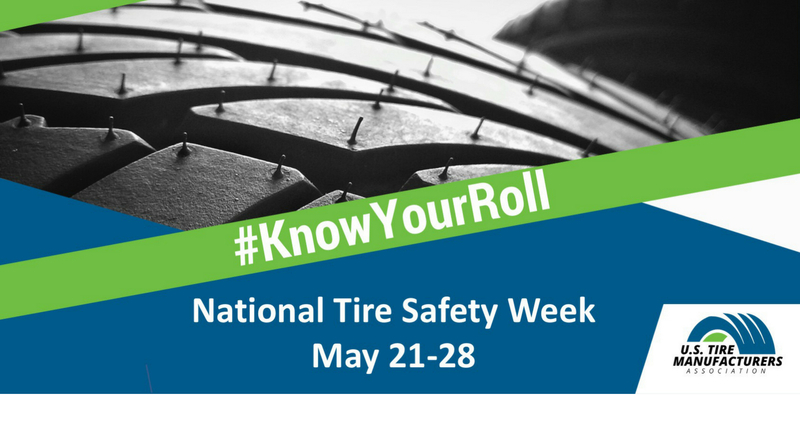 The U.S. Tire Manufacturers Association (USTMA) announced National Tire Safety Week, an industry-led initiative to raise awareness and educate consumers about proper tire care and safety. This year’s theme is “Know Your Roll” and will run through Memorial Day. U.S. tire manufacturers are committed to helping consumers understand everything they need to know about tire care and maintenance. Their public outreach campaigns empower drivers, especially teen drivers and young adults, to check the condition of their tires, especially at the start of summer. A number of member companies, including Bridgestone, Cooper Tire, Goodyear, Michelin, Toyo Tires, and Yokohama Tire are all planning consumer-directed initiatives. USTMA recommends drivers check their tire pressure monthly, regularly check their tire tread depth and ensure that tires are rotated and properly aligned. Four out of every ten drivers believe they can determine if a tire is under inflated just by looking at it. And what’s more, less than one in five know how to properly check tire pressure. That is one reason why proper tire maintenance and periodic inspections by a tire professional to assess the condition is essential for optimum performance and service life of tires. Additionally, unsafe used tires are putting drivers at risk. In 2015, more than 30 million used tires were sold. Once a tire has been mounted on a vehicle and driven, it’s considered a used tire. While new tires must meet stringent federal safety standards to be sold in the U.S., worn tires can be resold as used with virtually no restrictions. National Tire Safety Week is an annual USTMA initiative aimed at helping consumers learn the simple yet essential steps for proper tire care and maintenance, and it is supported by USTMA members: Bridgestone Americas, Inc.; Continental Tire the Americas, LLC; Cooper Tire & Rubber Company; Giti Tire (USA) Ltd.; The Goodyear Tire & Rubber Company; Hankook Tire America Corp; Kumho Tire U.S.A., Inc.; Michelin North America, Inc.; Pirelli Tire North America; Sumitomo Rubber Industries; Toyo Tire Holdings of Americas Inc., and Yokohama Tire Corporation.